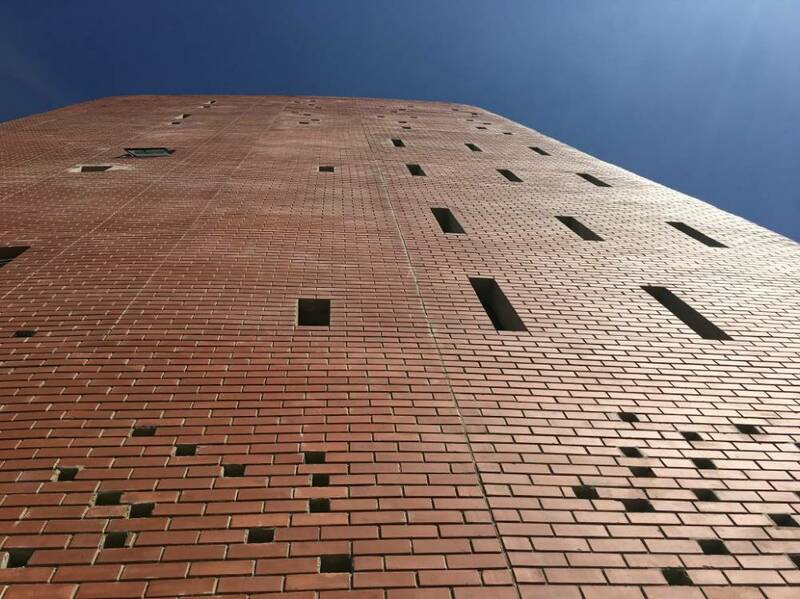 Clay brick is an integral part of the personality of the new uMkhumbane Cultural Museum at Cato Manor, Durban. 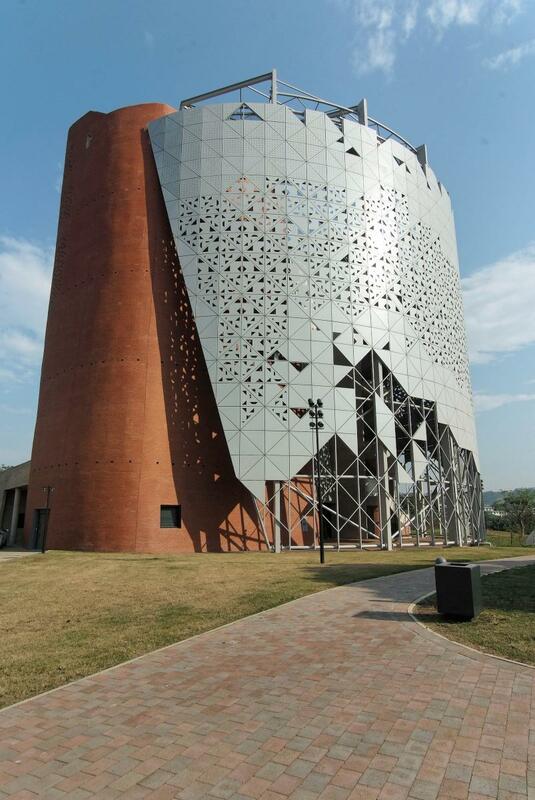 eThekwini Municipality’s award-winning museum surrounds an atrium space with a dramatic red brick tower. 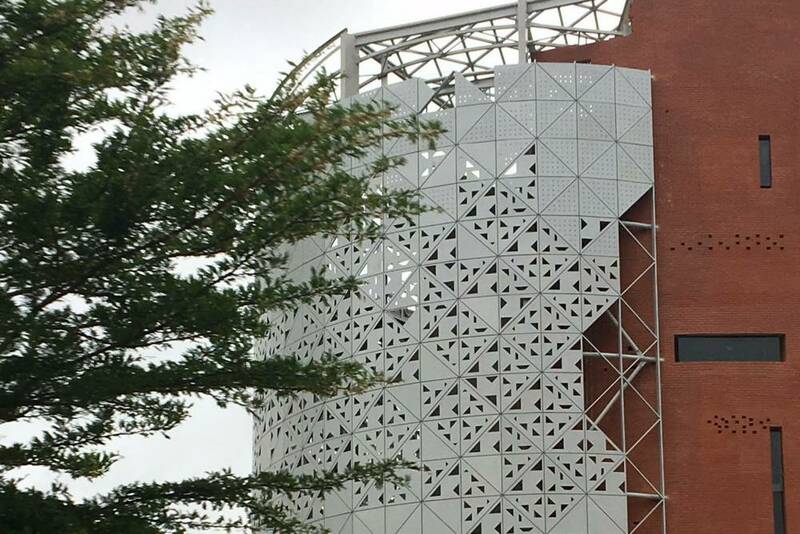 It is not only the first new museum to be built in Durban in 100 years but also the first public cultural building constructed in the area. 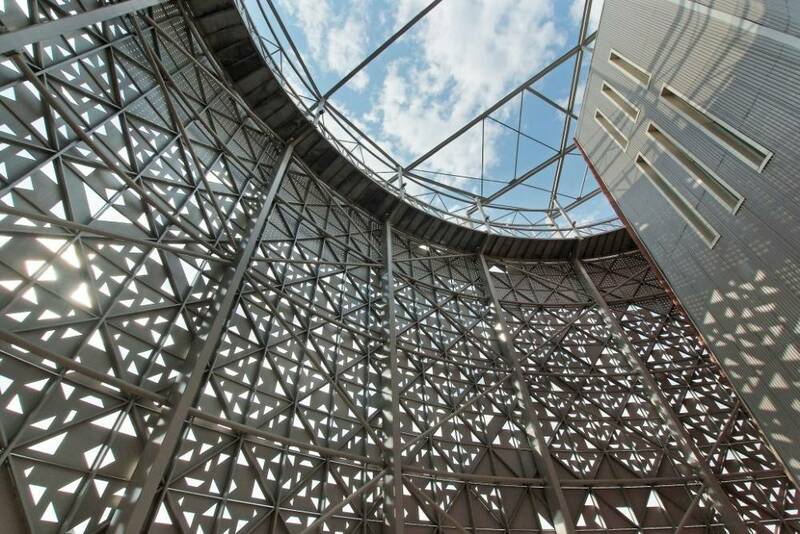 The museum is located at a visible crossroads site which has transformed from a once polluted riverbank and dumpsite into a world-class facility that represents the aspirations of a modern African city and its people. 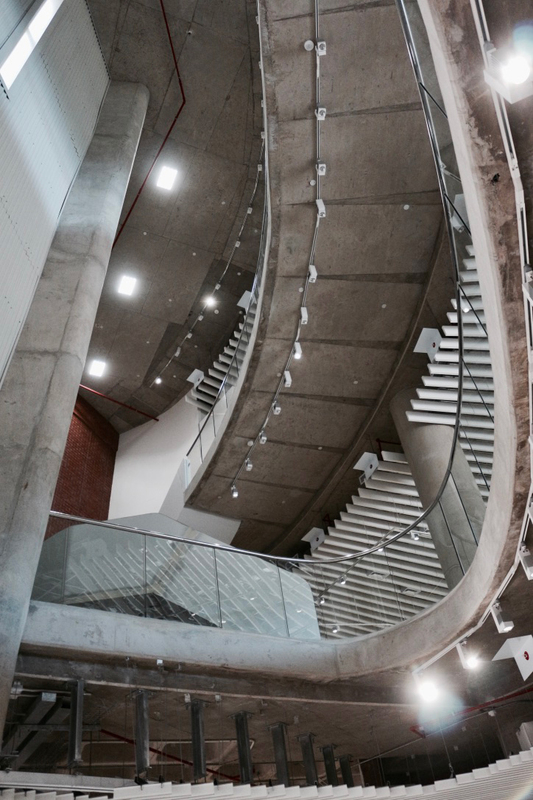 According to the architects, Rod Choromanski and Dean Ramlal of Choromanski Architects, museums are manifestations of local, regional and national pride. 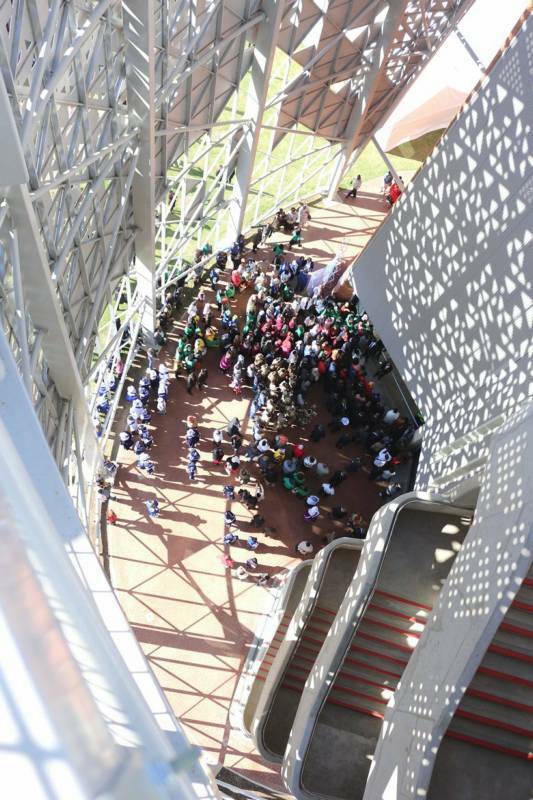 The museum architects won the eThekwini Municipality Architecture Department’s public design competition in 2003, after the city’s Local History Museum team identified Cato Manor as the ideal location for a new museum. This would not only preserve the area’s rich cultural and political history but also stimulate innovation and local economic activity in Greater Cato Manor. “There are many voices from Cato Manor dating back to early Iron Age settlements to which this project provides a platform for expression,” says Choromanski. 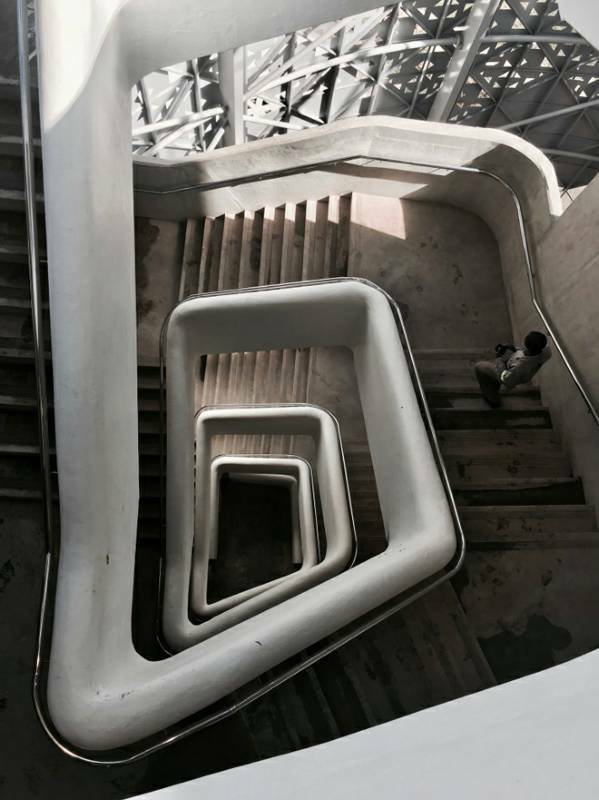 The five-storey museum tower will document the socio-political history of Cato Manor, cultural traditions and history of the Zulu Nation as well as offering venues for educational and recreational events. Although South African history remembers Sophia Town and District Six, scant attention is given to Cato Manor where forced removals under apartheid first took place, and where earliest resistance to these began. Today, Cato Manor is home to 100 000 people who have re-settled the area post 1994. The uMkhumbane project site was honoured by the reinternment of Queen Thomozile Jezangani kaNdwandwe (Mother of the King Goodwill Zwelithini) in 2011. The Queen resided in Cato Manor after leaving the Royal Household, and was a talented crafter and vocalist. 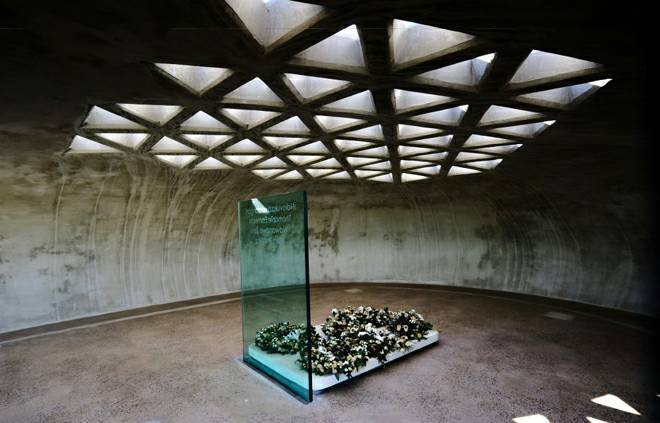 The museum rises alongside her crypt where she is memorialized. The tower reduces the museum’s footprint freeing up the site for a park and future built phases. Its inner skeleton is concrete while the outer skin is clay. Various materials were investigated before confirming clay brick as the final cladding. Approximately 500 000 “Firelight Satin” bricks shape the tower with “Silver Grey Travertine” used on ancillary spaces constructed using a simple stretcher bond with minimal embellishment. This established a strong, homogenous, sculptural form but according to Choromanski, clay bricks were not chosen solely for aesthetic reasons. 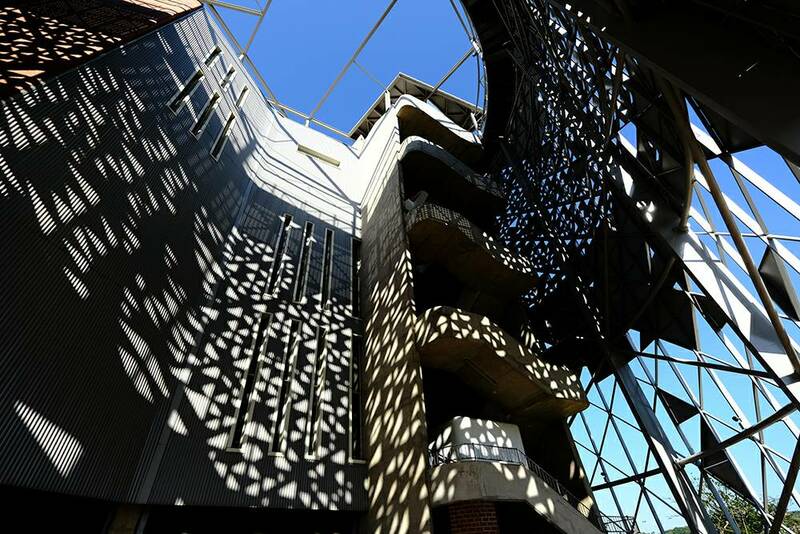 Sada Naidu from LSC Brunette Consulting Civil/Structural Engineers says, “Because of its inherent strength, brick achieved higher walls utilizing the method of diaphragms, thereby avoiding extra reinforced concrete beams and added cost while providing ideal thermal and environmentally sustainable properties.” Openings in the walling deliver dappled light and ventilation into the circulation cores, and some serve as bird nesting boxes. The city’s master plan for the site envisages the future inclusion of a cultural park and public neighbourhood square, further retail spaces for traders and crafters stalls, and facilities for children.